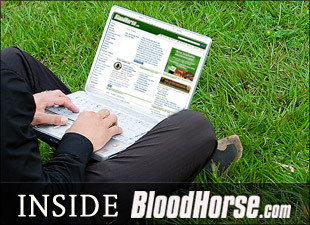 By now, the The Blood-Horse's online Stallion Register has been updated with stud fees and farm information for the 2012 breeding season. The data "roll-over" as we've come to known it since the digital Stallion Register was launched in 2003 is extremely important to stallion owners and much-anticipated by breeders who rely on it as a valuable research tool. Timing the roll-over in the recent past has been particularly tricky, as we try to walk the line between when farms are ready to release their information and when breeders need the information. Last year, with so much uncertainty still in the commercial market, farms needed to wait deep into November before setting their stud fees. Meanwhile, breeders were clamoring for information at the beginning of the month. What the industry now needs, we realized earlier in the year, is a digital Stallion Register that no longer depends on a roll-over, and we dedicated the resources to making it happen. But this feature is only one of many improvement you'll soon see in the new Stallion Register. lists by sire of their progeny entered in upcoming sales. You'll see the classic SRO right now, but start looking soon for a link on the home page that will take you to the new, improved digital Stallion Register. Look around the new site and let us know what you like and whether you see anything that should be added or improved further. With more video, more information and convenient links to social media outlets Twitter and Facebook, we think you'll like what you see.